Now available online, new Mieko Mintz. 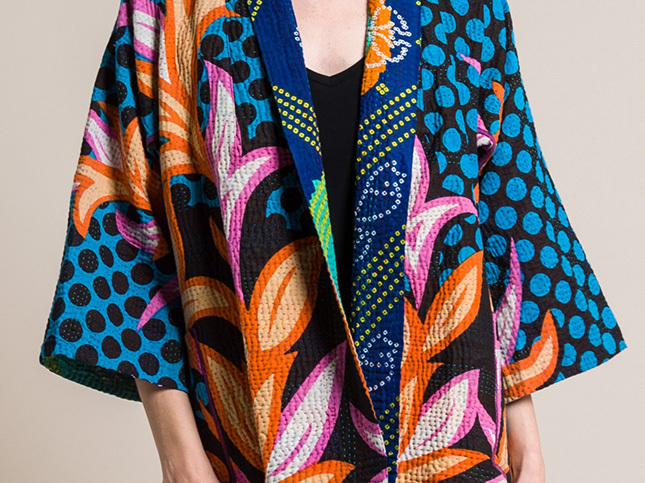 In this shipment, Santa Fe Dry Goods has received a custom order of reversible kantha jackets, with blue dots and orange and pink floral leaves in different cuts. The latest shipment is available online and in Santa Fe Dry Goods on the Plaza in Santa Fe, New Mexico.